Keep liquid/gel soap handy at all times with this designer lotion dispenser. 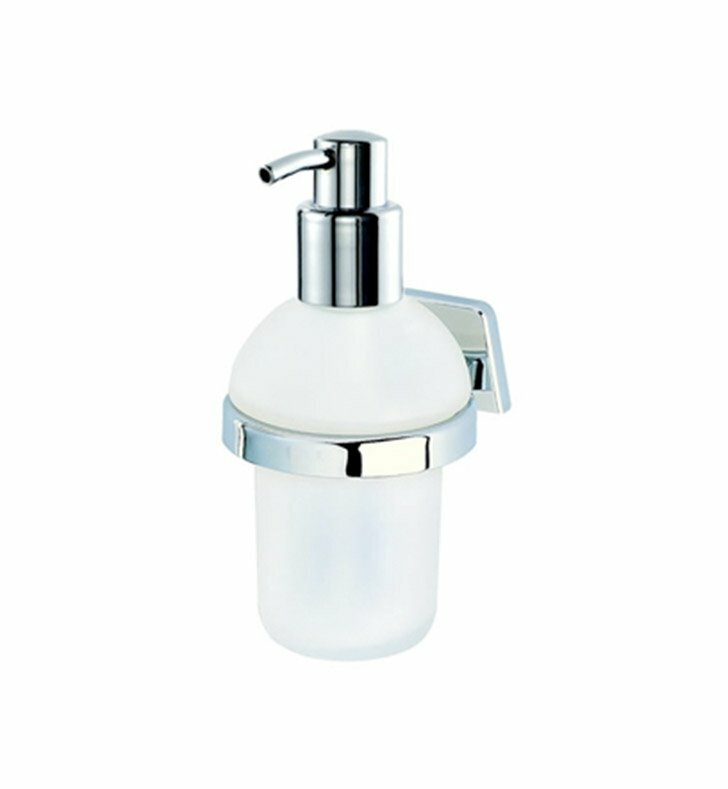 Wall mounted and available in chrome, this frosted glass liquid dispenser will fit perfectly into a contemporary master bathroom. Designed and made by Geesa in Netherlands. From the Geesa Standard Hotel Collection collection.